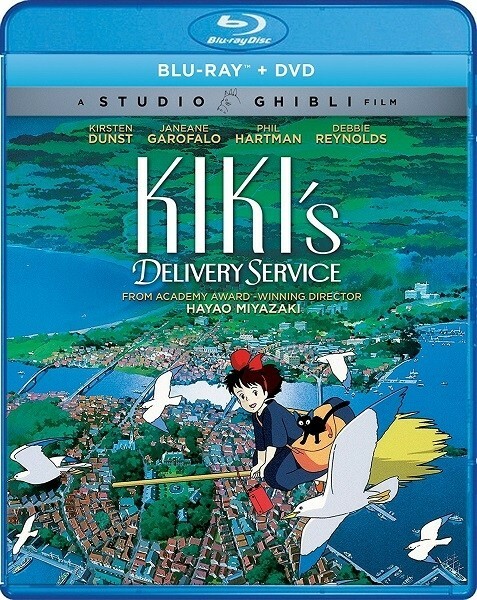 In Hayao Miyazaki's magical Kiki's Delivery Service, a 13-year-old girl meets the world head on as she spends her first year soloing as an apprentice witch. Kiki (Kirsten Dunst) is still a little green and plenty headstrong, but also resourceful, imaginative, and determined. With her trusty wisp of a cat Jiji (a gently subdued Phil Hartman) by her side she's ready to take on the world, or at least the quaintly European seaside village she's chosen as her new home. Miyazaki's gentle rhythm and meandering narrative capture the easy pulse of real life (even if his subject is a girl flying high upon a broomstick) and charts the everyday struggles and growing pains of his plucky heroine with sensitivity and understanding. Beautifully detailed animation and the rich designs of the picture-postcard seaside town of red-tiled roofs and cobblestone streets only add to the sense of wonder. This charming animated fantasy is a wholesome, life-affirming picture that doesn't speak down to kids or up to adults. 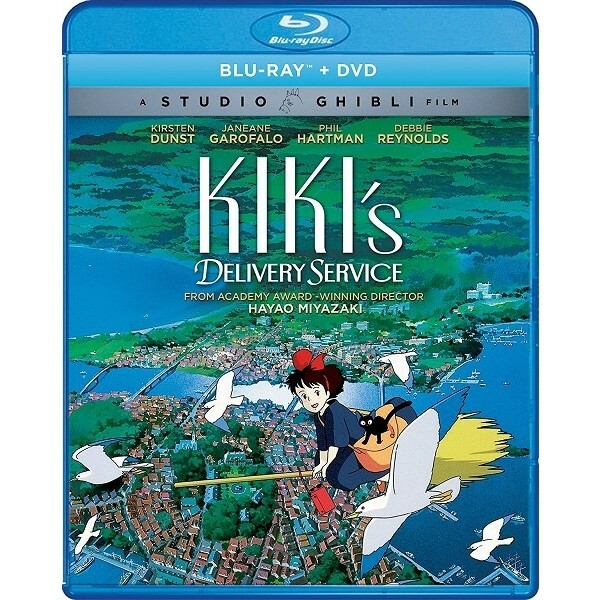 For more Kiki-related items, visit A Mighty Girl's Kiki's Delivery Service Collection.